These systems are often used for storing stock to ensure that enough components or products are on hand to meet anticipated demands. Designing the configuration of the storage system also depends on the items’ quantities and characteristics, as well as the types of fork truck equipment that will be needed to move them to and from storage. 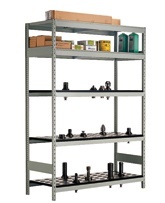 Husky heavy duty pallet racking either in pre-configured units or individual components. Mallard heavy duty pallet flow rack systems are individually designed to most efficiently and effectively serve your specific heavy duty storage needs -- conveying large heavy weight pallets, containers, totes, tubs, etc. 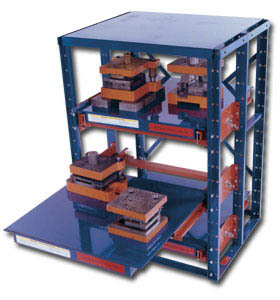 Carton flow rack from Custom Equipment Company is a live storage system used in the order/parts picking operations of distribution centers and manufacturing plants. By using inclined shelves equipped with gravity roller tracks, product will move from the restocking side to the picking side of the system. Mallard Dyna-Flo Carton Flow Gravity Drop-in Conveyor fit into all types of rack systems and configured into new or existing storage racks. We engineer and design specific to the application. Mallard Dyna-Flo is a plastic (polypropylene) staggered skate wheels system that spans from beam to beam inside rack systems. 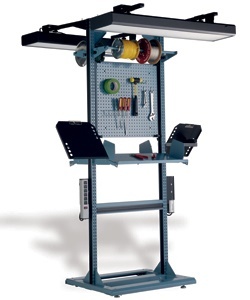 Dyna-Flo covers the entire level of rack with wheels. 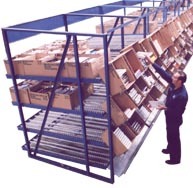 Quickly and Easily Converts Pallet Racking into a Productive Flow System. Available with 12” wide (DF-12) and 16” wide (DF-16) Drop-In Sections. Attachment brackets for behind-the-beam mounting provides low profile. 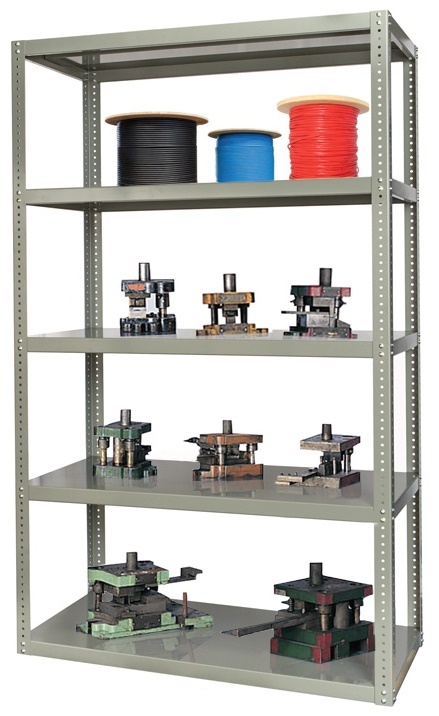 Bulk Rack Shelving Unit is designed to provide an economical solution for the storage of retail, wholesale or industrial goods.